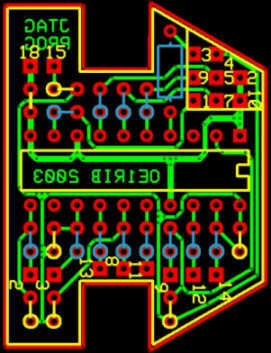 For this you can either buy a commercially available developer kit for a few hundred euros our you can build your own. 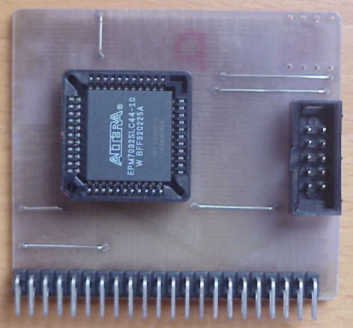 This project uses programable chips from Altera just because they where readily available but there are also others like for example Xilinx. 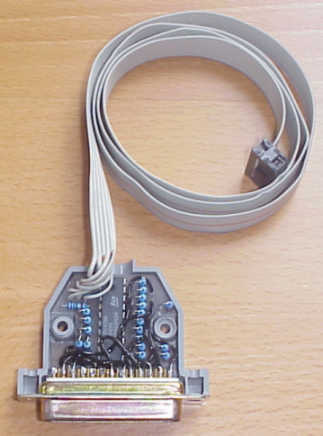 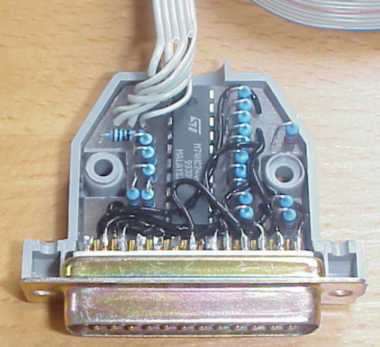 To start with programmable logic devices just build the programmer cable and the module and download the programmer software from the altera homepage and that's it. 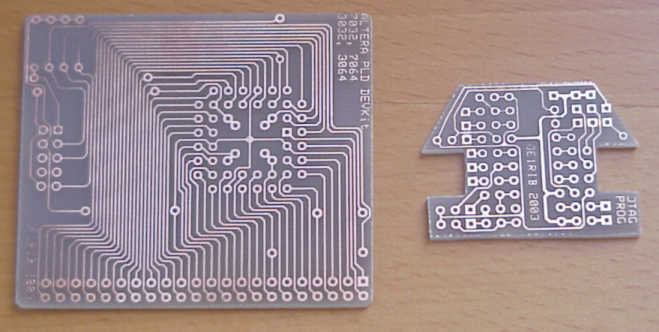 This page is not intended to teach you how to design your chips (ther are numerous other, better ones - see the links at the end of this page)! 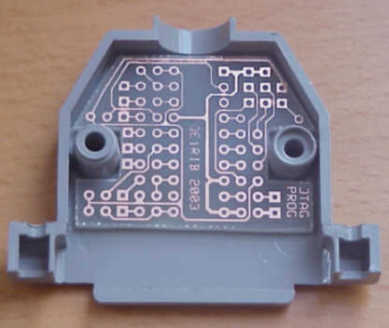 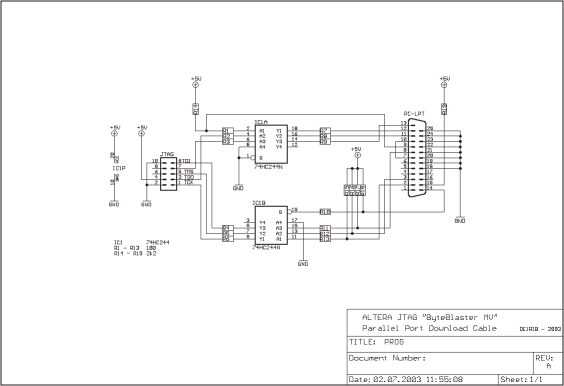 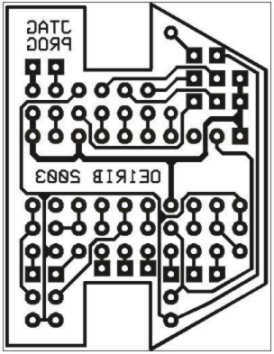 You can download a PDF File with the schematic and the PCB here. 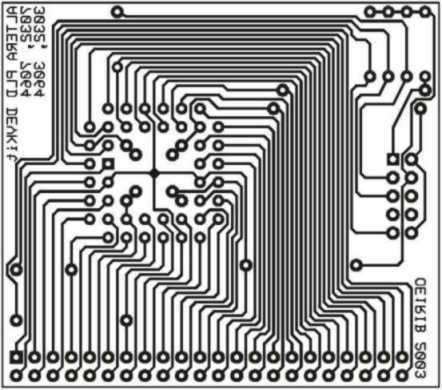 A good introduction to logic design using Altera chips can be found at http://tutor.al-williams.com/pld-1.htm. 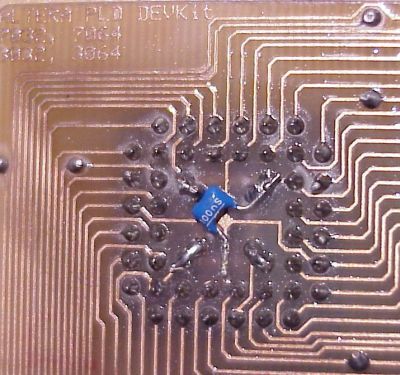 Title: "Wir bauen uns einen PLD-Chip!" 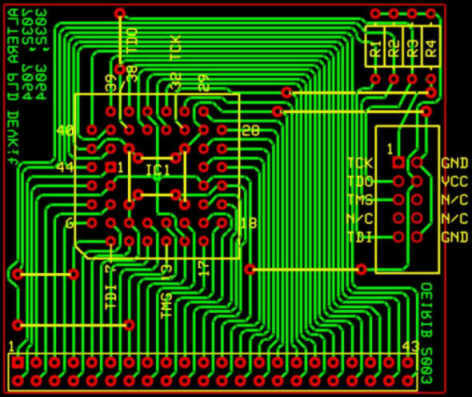 If you have any comments or sugestions just drop me a line.